There’s often a ‘yin” and ‘yang’ to Dr. Samuel Kohen’s life: To pursue sports or academia, internal or emergency medicine, return to Ontario or move to the Comox Valley. 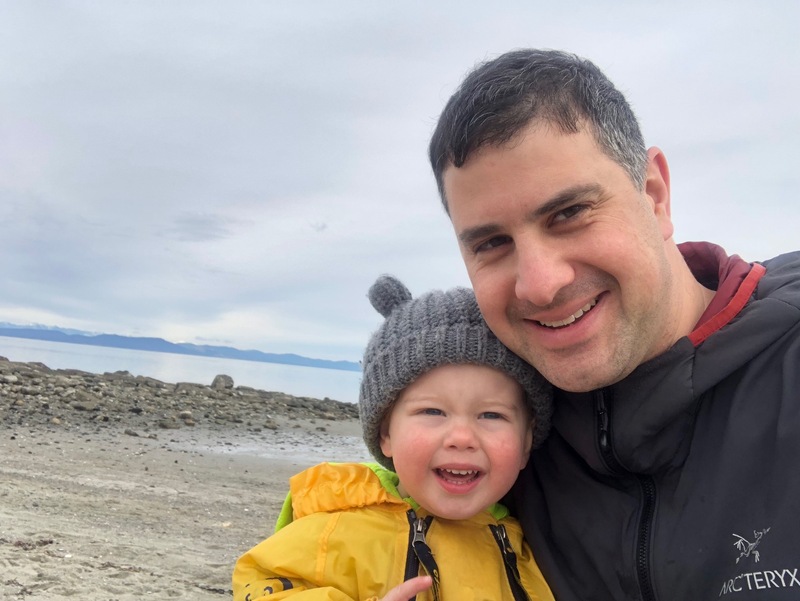 Fortunately, Dr. Kohen’s decisions have allowed him to balance his passion for medicine while living a family oriented, outdoor lifestyle, by practicing Internal Medicine and Critical Care in the Comox Valley. Though exciting and personally rewarding, a career in medicine invariably comes with moments of frustration, ethical concerns and sometimes moral distress. Two events, early in Dr. Kohen’s career, focused his interest on quality medical care: In the first, Dr. Kohen was part of a critical adverse event, and in the other, Dr. Kohen’s own grandmother, suffered needlessly at the end of her life. With the SSC Quality and Innovation funds, Dr. Kohen helped develop, implement and support the Island Health Medical Order for Scope of Treatment, in the Comox Valley. By focusing on multidisciplinary engagement, this project helped St. Joseph’s General Hospital achieve an unprecedented 100% documentation of patient end of life care wishes. “The advance care planning project has been an amazing success – we are helping patients share their perspective on end of life care and ensure that we provide care that is consistent with their wishes.” See here for more about the Advance Care Planning tool.